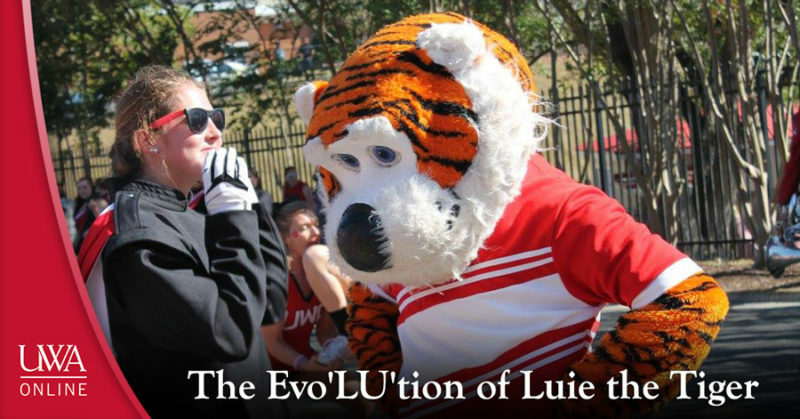 The University of West Alabama’s beloved Luie the Tiger serves to rally supporters and inspire school spirit at every sporting event, academic function or community get-together he attends. 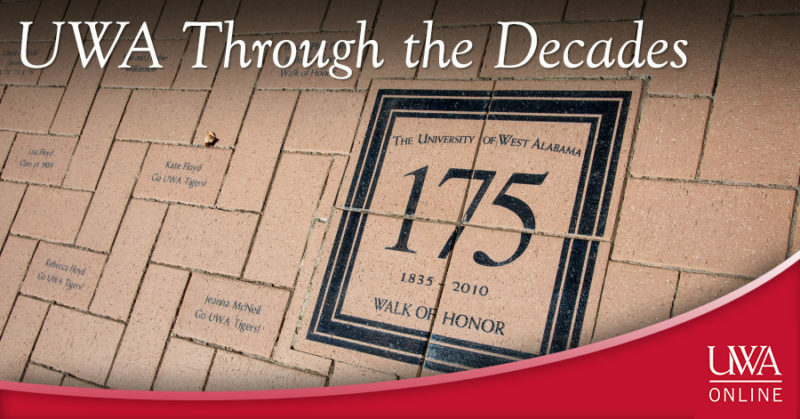 Though the University of West Alabama’s name has changed over the years, the tiger tradition has held strong as a staple of the college’s rich and spirited history. In 1938, a Sumter County newspaper, Our Southern Home, came up with a tiger-themed nickname when it dubbed the then Livingston State Teachers College men’s basketball team as the “Rambling Tigers.” This was the same year the university became a part of the Alabama Intercollegiate Conference. On Oct. 21, 1938, the tiger mascot was introduced and approved by alumni at the school’s first homecoming. The school became Livingston University in 1968. Throughout the 1970s, the tiger mascot was known to walk through the initials “L.U.” at sporting events. In 1985, the tiger mascot was given a makeover, and the mascot was named “LUie”—a nod to the school’s L.U. initials. Then, in 1995, Livingston University became the University of West Alabama, and the college’s tiger-themed logos were redesigned again. Today, the tiger still symbolizes the university’s successes in both academics and athletics and serves as a furry, striped figurehead for the UWA fan base—continuing what is now a near 80-year tradition. Why Get a Tech Job? It’s no secret that technology-related jobs are in-demand, and for the most part, high-paying. In fact, according to Glassdoor.com’s annual 25 Highest Paying Jobs in Demand report for 2016, 11 of the top high-paying jobs are in the tech industry—more than any other industry on the list. If that fact alone is not incentive enough to get involved in the tech industry, there are several other upsides of the technology field that you may not have considered. For one, the technology field is always changing—meaning that your role will most likely evolve with it. This can prevent you from feeling bored with your job or feeling that it is overly monotonous. As technology changes, it also means that new jobs will constantly be created to accommodate those changes. For you, as long as you keep up with what’s new, then job security is likely something you will not have to worry about. Another perk in the tech industry is the working environment itself. Many of today’s big tech giants like Google, Apple, Uber, etc. boast modern, amenity-filled offices that are a far cry from the drab 9 to 5 cubicle work life. Some tech jobs also allow you to very easily work remotely, so that can stay in your house shoes all day if that’s what you prefer. Along the same lines, freelancing is very possible when it comes to working a tech job. For example, many web designers work creating websites on a project-to-project basis, allowing them the freedom to do what they want and to be their own bosses. Finally, working in the field of technology can be extremely gratifying. Whether you are making a community website or designing the next iPhone, the effects of your work are tangible and have the ability to positively impact a broad audience of users. The world is constantly changing. Even as you are reading this, change has occurred in billions of ways all over the world—so much so that it is difficult, if not impossible, to fathom. In the working world, change is likewise inevitable, and part of being a qualified, valuable employee is staying up-to-date with changes in your respective field or industry. For example, whereas newspaper reporters once used pen and paper to write down their stories and ink and newsprint to print them, today most consumers obtain the news digitally, such as on apps and social media—where news can be obtained instantaneously. This has changed the job of the reporter and has caused the reporter to have to adapt to this expectation of immediacy when delivering the news. A degree that you earned 20 years ago—or even 10 years ago—may not be as relevant as one you earn today. 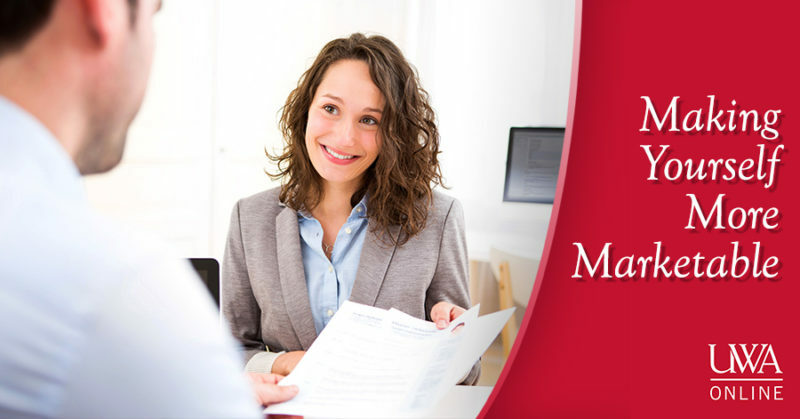 Hiring managers are going to seek those with the most current knowledge under their belts. That’s where continuing education comes in. 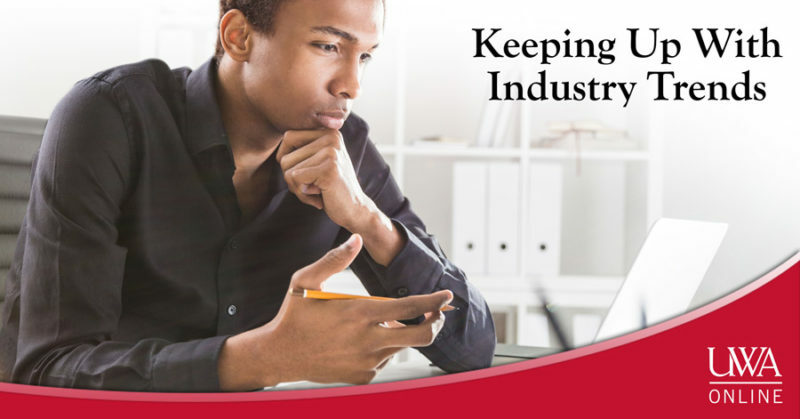 Continuing education offers a way to revitalize your existing knowledge base, improve upon what you already know and add to that with the latest and most cutting-edge information your field has to offer. Learning should never stop. If you already have a degree, you should treat that degree as a foundation for the knowledge upon which you will build the rest of your career—but you should never settle for basic or say that “you know all that there is to know” about a subject. In addition to becoming involved in a continuing education program, other ways to maintain your career relevancy by keeping up with industry trends include attending conferences and seminars, joining forums and discussion boards and networking with others in your field. The University of West Alabama’s Livingston campus fosters a rich history dating back to the early 1800s when the school was established as an all-female academy. Many of the students who walk the campus and who are enrolled in UWA’s online courses are likely unaware of how UWA’s roots where established. Learning about your university is one way to feel proud of your status as a UWA Tiger, no matter where in the world you are located! Check out this timeline detailing UWA’s progression from then to now! 1835: Livingston Female Academy was chartered as a church-related female institution. 1839: The school admitted its first students. 1860s-70s: After being closed due to hardships during the Civil War and Reconstruction, the school reopened in the late 1860s to early 1870s. 1881-1910: The school was under the direction of noted educator and reformer Julia Tutwiler. 1883: Tutwiler succeeded in getting a small appropriation from the State Legislature to establish normal school training for girls at the academy. This is believed to be the first state appropriation in Alabama made exclusively for women’s education. 1886: The first normal school diplomas were granted. 1907: The state assumed full control of Livingston Female Academy and State Normal College. 1910: Dr. G.W. Brock succeeds Tutwiler as president. 1911: The Alabama Legislature creates a State Board of Trustees for all normal schools. 1919: The State Board of Trustees was abolished, and all state normal schools are placed under the State Board of Education. 1929: The school becomes State Teachers College and is able to grant Bachelor of Science degrees. 1947: The Bachelor of Arts degree was authorized. 1957: The Alabama legislature changes the school’s name to Livingston State College. 1958: The school is authorized to confer master’s degrees in professional education. 1967: The school becomes Livingston University, governed by its own board of trustees. 1995: The school’s name changes to the University of West Alabama. 2016: Today, the University of West Alabama is a regional institution that strives to meet the educational needs of the area by offering associate, baccalaureate, master’s and educational specialist degrees. 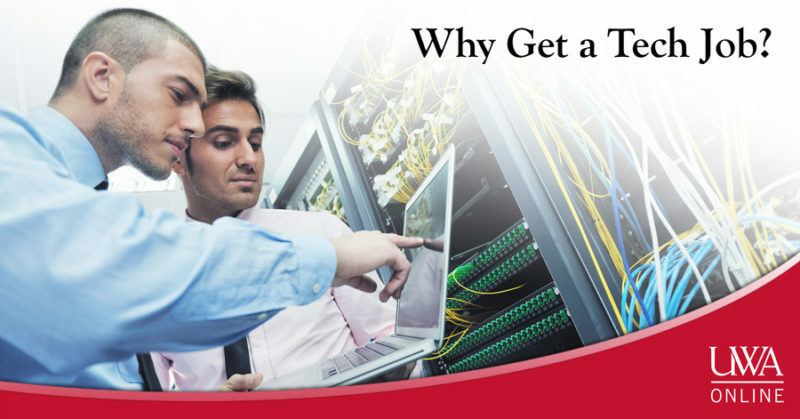 As part of the University of West Alabama’s Online continuing education programs, you have access to various fields of study aimed to appeal to a wide range of our participants’ interests. Health and Wellness is one category in which our certificate offerings can help put you ahead in a field with a consistently high demand for qualified workers. 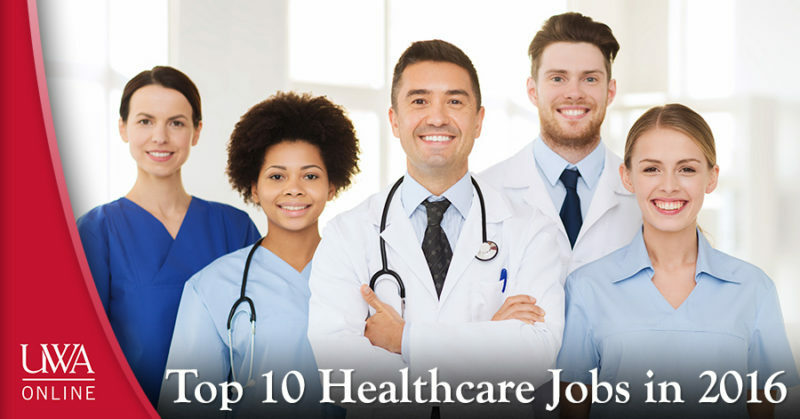 U.S. News & World Report rated its Best Health Care Jobs for 2016 based on projected jobs, median salary and unemployment rate. Check them out here! If you are staying stagnant in your career, it’s time to make a move toward better opportunities. Perhaps you have hit a roadblock in advancement and you are unable to progress any further in your current job situation. Maybe you do have opportunities to advance, but you are simply feeling unfulfilled with the specific work you are doing. One of the most significant benefits of continuing education is the opportunity to continuously make yourself more marketable to potential employers. Every additional certification that you earn via continuing education courses is another plus to add to your resume and another form of proof that your skill set qualifies you to complete various tasks successfully. Employers are more likely to take your abilities seriously if they are backed up by a degree or certification. For example, if you simply tell a potential employer that you have extensive experience in social media marketing, he or she may not always take your word for it. Having a Social Media for Business Certificate, on the other hand, proves that you spent time learning how to use social media to market a business and that you were driven enough to complete the course of study. Just like a product appeals to more consumers if it has the ability to perform functions that many consumers need, as a working person you will appeal to more employers if you possess the ability to perform the various functions that they need.